This Is A Official Offer. But Now Its Transfer To A Hack / Trick. Just Follow Some Easy Steps And You Can Use This Trick Free. 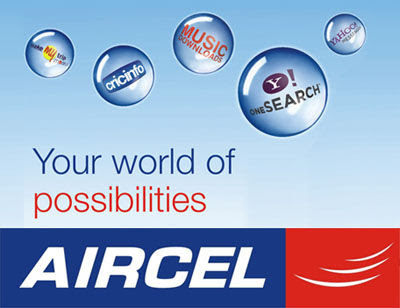 We all know Aircel has launched Aircel 3G Mornings, a new 3G trial offer that would let both their new and old customers enjoy unlimited free 3G data access between 6:00AM to 9:00AM for 30 days. This is definitely a great deal for Aircel customers using 3G handsets and tablets to catch up the latest happenings early morning. It doesn’t come with any terms and conditions relating to speed or price. When Your 3 Hours 3G Speed Finish, You Can Browse And Download With 2G Speed. So Enjoy Unlimited Aircel Internet At 0 Cost. Aircel users can dial the short code *122*456# to activate this offer. Note: This Trick Is Tested And Working In West Bengal...... Try Other States. bhai unlimited 3g kaa koi trick batao yr!! Can u post the link for this trick???? Mera activate nahi ho raha hai ....??? hey buddy this trick is not working anymore in kolkata...btw i hav zero balance does dat effect? and I liked ur page in fb my name is Mrinal Roy and email address is [email protected] send me some free internet tricks..thanks!